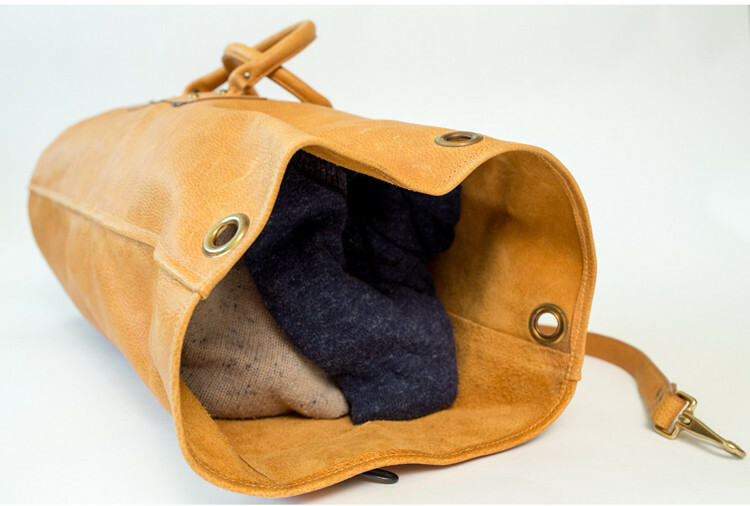 As the first designer featured in the Walker Shop’s new Local Maker Profiles, Scott Loeser of Marked Leather is capturing our attention with his beautifully crafted, ruggedly stylish bags and the stories behind them. Using reclaimed leather to create unique products, Marked Leather shares a dedication to responsible upcycling of used materials as well as a creative commitment to the history preserved in each scuff and scratch. 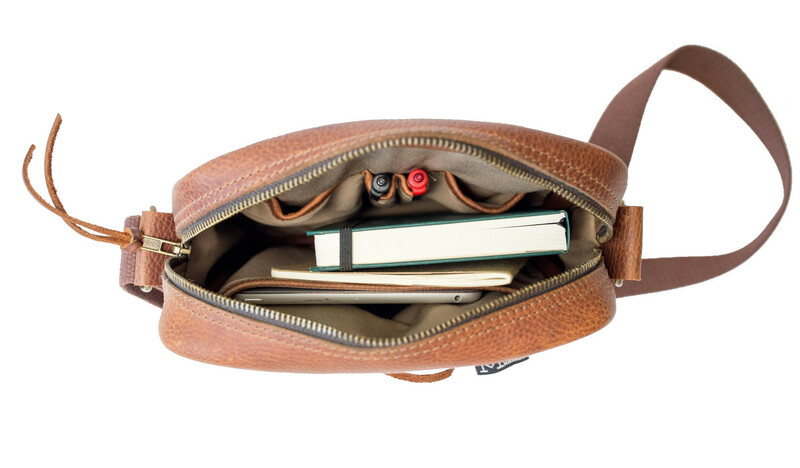 Marked Leather goods are handmade in Minnesota and designed to function effortlessly in daily life with their classic structure and aesthetic. In advance of his December 11 visit to the Walker for Art School, Loeser talks about finding a niche for his company, calling the artistic shots, and Minnesota makers to appreciate. Describe what you make: I make leather carry goods like satchels, duffles, and totes. 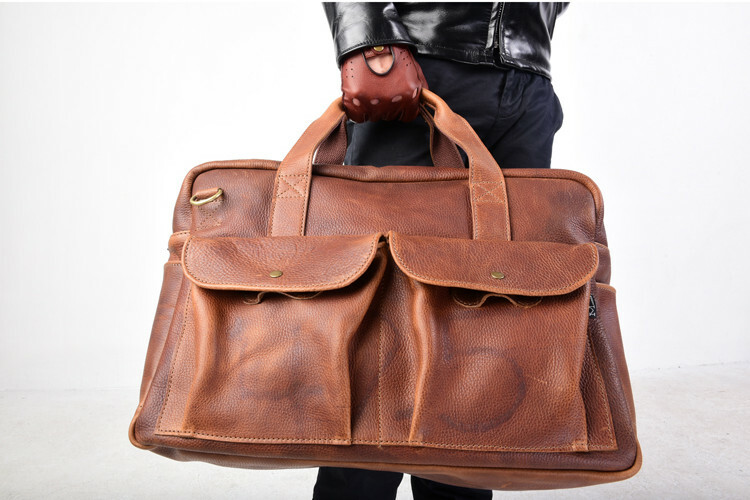 The leather I select for my products is heavily branded and blemished. I think this part of the hide shares the most character and really tells a story. When and how did you get started? I started in 2012 in my Uptown apartment. I started hand sewing wallets there. The money that I sold from the wallet sales helped me afford my first major order of leather that would become the first line of Marked Leather goods. Where do you make your goods? Currently I have a shared studio space in Northeast Minneapolis. I make some of the bags there myself. The manufacturing that I do is all done in Wabasha, Minnesota. They make the more involved designs. What inspires what you make? I’ve always wanted to do my own thing, call the shots, etc. 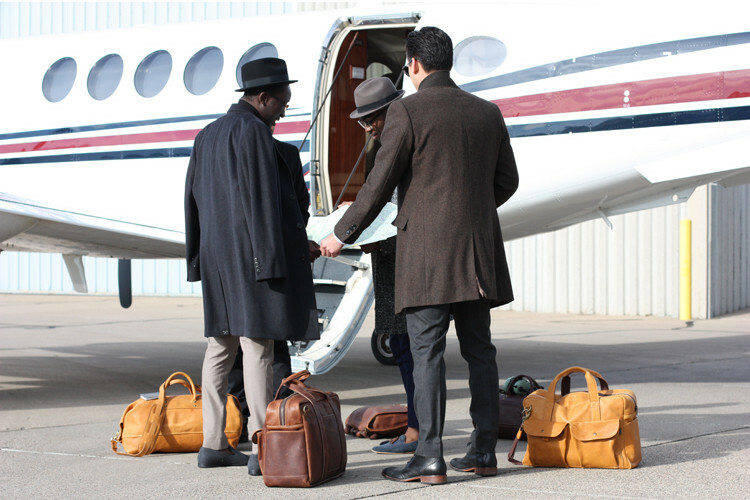 It wasn’t until after researching leather goods made especially with marked leather and finding none that I thought it was worth a shot trying to be the first to create a quality, high-end leather bag with that material. What other MN Makers do you love? Knots Belt and Clothing Co., Mill City Fineries, and the Great Lakes Collection. Advice to aspiring makers: This takes time!! And some money, but more importantly patience. There isn’t just one way to create a business so remember to be as creative with that as you are with designing. Join Loeser this Sunday, December 11, during our Art School workshop for a conversation on designing with reclaimed material and breaking into the American cut and sew industry, as part of the. Check out his work on Instagram and Twitter (@markedleather).